The biggest upgrade we’re making will be to the Performance module. 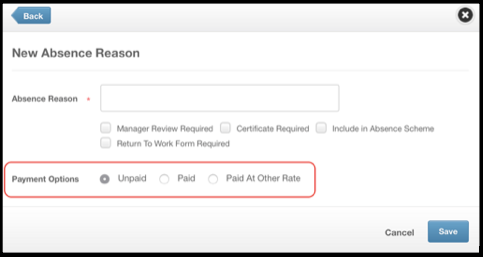 When creating your performance criteria, you will now have the ability to specify which employees are to complete the review by company, location, department, job role and/or employment type. As well of the core company questions, you will now be able to add job-specific questions. 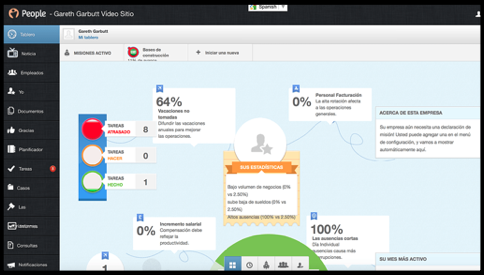 This means you can create job-specific performance reviews for different roles within your company – for example Sales, Engineering, Customer Service, etc. These job-specific performance reviews can run alongside each other, or you can stagger them throughout the year. 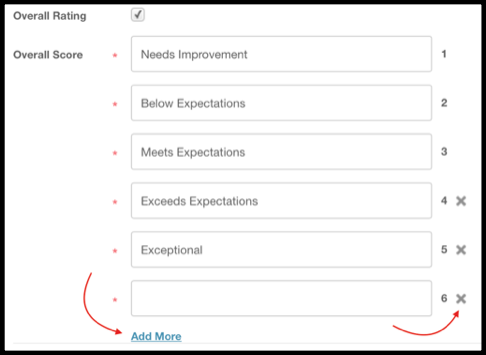 You will see that there are also some cosmetic changes when completing the review – such as choosing the number of overall score options, and adding your own job role segments. The process, however, remains the same. That’s not all! 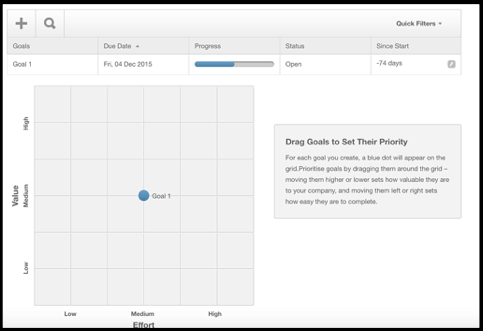 We’ve added a brand new segment to each employee’s Performance screen, called Goals. 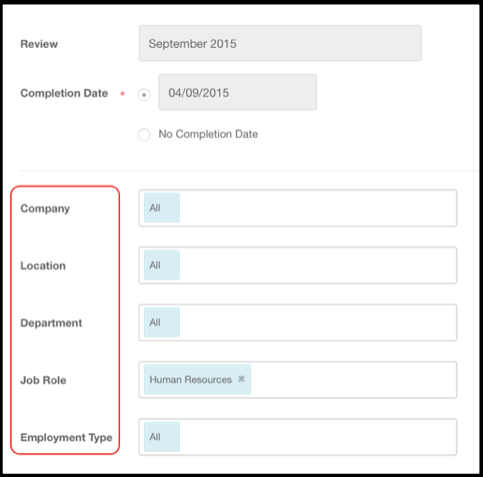 This new feature will let you create specific actions that are due for completion on a per-employee basis. You can review and change the importance and deadlines of these goals. Email notifications are also linked to these. We have added an option to the Holiday and Absence settings, which lets you create a rule for additional holiday entitlement based on length of service. All you need to do is enter (in months after start date) the extra entitlement earned, and then enter the value (in either days or hours). For example, you could action that employees start with 25 days’ annual leave, then get 1 additional day for every year worked up to a maximum of 30 days. Due to popular demand, we have enhanced the Bulk Actions functionality. Firstly, we now have a Bulk Holiday option – so you no longer have to go into each employee’s individual record for company-wide shut-down days like Christmas. 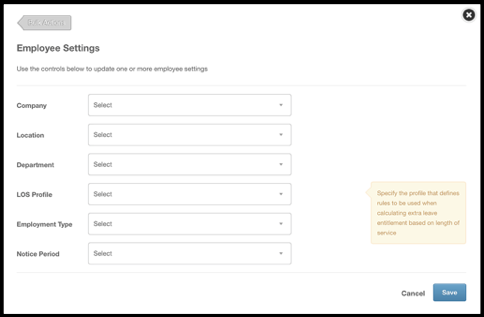 Secondly, you can now change employee settings in bulk, so there’s no more manual work going into employee’s records to change a group to a new location (for example)! We have made some key changes when marking paid sickness. Now, when you go into your sick reasons and select ‘Manage This List’, you can select default terms for each sick reason, to tell the system whether each reason is paid, unpaid, or paid at another rate. 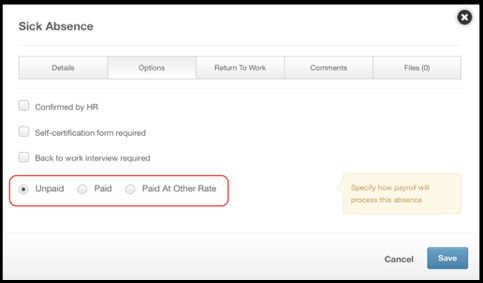 Also, you can manually override this default on an employee’s sick record by selecting the Options tab and choosing the Payment option for this instance. 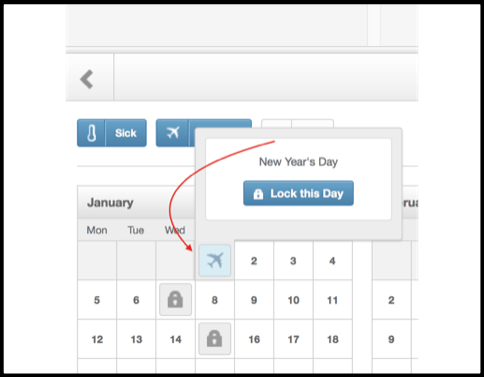 Employees no longer have to book holidays that include half a day by submitting two requests – eployees still request leave in the usual way, but will now notice up and down arrow buttons for selecting half-days. 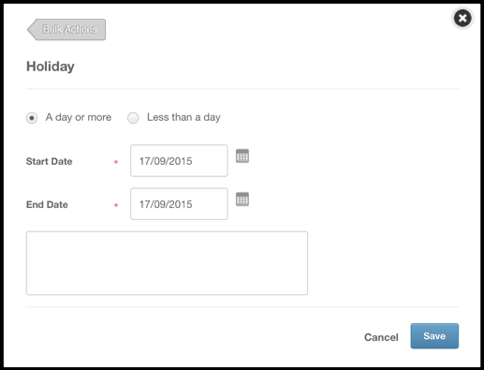 We have added Public Holidays to the Company Planner, to improve visibility of who is out of the business. Selecting a public holiday marked on the planner will reveal its name. 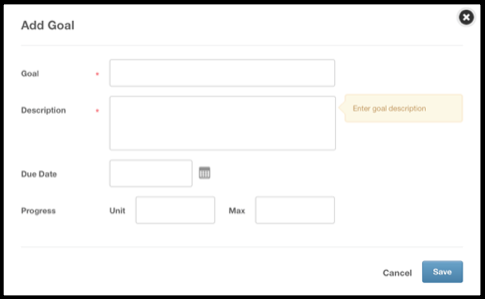 Firstly, we have added another field for phone numbers so you can now add a work phone number, desk phone number and personal phone number. Secondly, we have re-worded ‘Other Contacts’ to ‘Emergency contacts’. If you are using the automatic Carry Over Leave option, any holidays that are carried over will be displayed as a separate balance within the employee’s holiday settings so that you can distinguish between allowances when processing leavers. If you want to switch this setting on, just hover over your name in the top right-hand corner, and you will see a new button called ‘Turn on Google’. Hitting this will let you choose whichever supported language you’d like the page translated to. If you turn off the option of Google translate under the dropdown menu, then the language selector will disappear, and the page should reload in English language. When adding a new employee, the system has always had a default probation period of 3 months. Now, you can go into the Company Settings and specify your company’s default timeframe. Until now, you needed to hit Enter/Return each time you added a new value to the Manage List areas. Now, the new value will automatically save once you hit done. 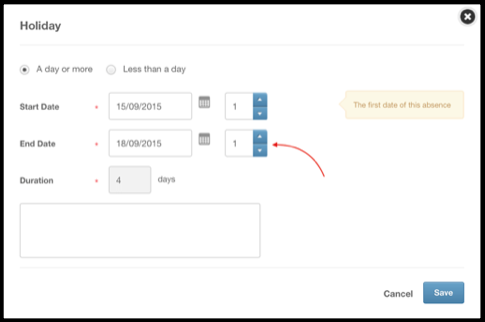 Now, if you move an employee onto a different holiday template, the system will capture an effective date. All public holidays from the effective date will be deleted and replaced with the public holidays from the new template. 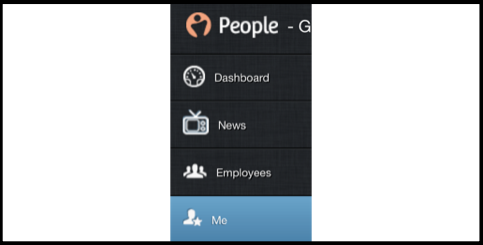 We have added the feature of using two-factor authentication to log into People HR. To use this feature, all employees must have access to a smart phone or tablet device. They then need to download an app called ‘Google Authenticator’. If you action this, the next time an employee logs into the system they will be asked to open the app and use the camera to scan a QR code which is presented on the login screen. This will then provide a code on the app which will change frequently. Therefore, before an employee can login, they will load up the app and enter the latest code given, making your log in process much more secure. The system will now allow you to see the remaining leave for any leavers in the system, with historic tracking of that change. When you mark an employee as a leaver, the system will calculate their remaining entitlement based on the leaving date you specify. When you mark them as a leaver immediately, you will then see this remaining leave shown in the employee’s planner. You can also see this change within the employee’s blue Settings button in the planner, by hitting the Clock icon. We have improved the Daily Cost of Absence calculation within an employee’s personal tab, so that it now takes the days worked from their work pattern into account. We felt you were missing out – until now, only Employees and Managers had a ‘Me’ tab for viewing their own personal record. Now, you have one too! On the API the ReportsTo; field returns back the employee name. We have added an additional element to return both the ReportsToEmpId and ReportsToEmailAddress. When updating employee record, the parameter ReportsTo is used, it expects the email address of the reports to, to be set.